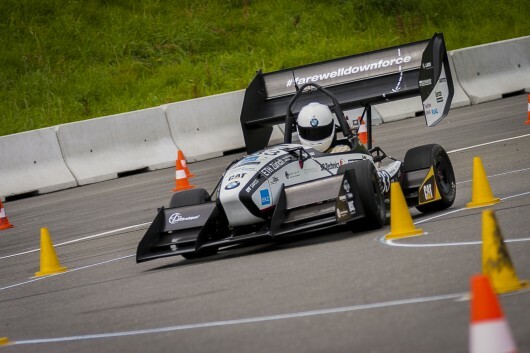 Grimsel, an EV built by students from ETH Zurich and Lucerne University of Applied Sciences and Arts, has beaten the EV car acceleration record set by the Delft University of Technology in 2013. The previous record was 2.134 seconds to achieve a speed of 100 km/h from a state of rest; Grimsel can achieve this speed in 1.785 seconds. The test was carried out at the military airfield located in Dübendorf, Switzerland and still awaits the sanction from Guinness World Book of Records. 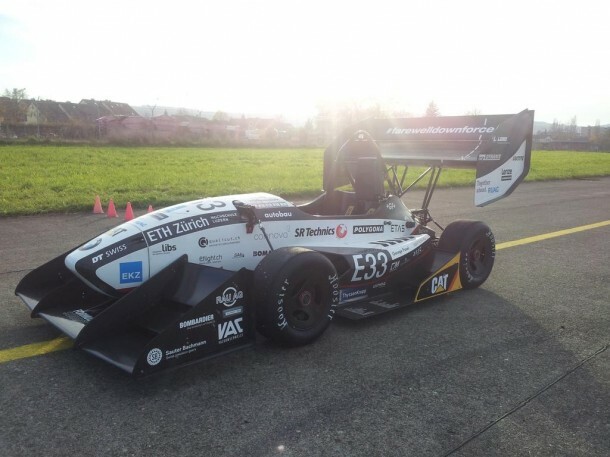 What makes this new record even more wonderful is the fact that the students who have set the record are also responsible for designing and building the vehicle as part of the Formula Student Team at the Academic Motorsports Club Zurich (AMZ). The electronic vehicle took less than a year to develop, with a team of 30 members. It has been built with carbon fiber and weighs 168 kg only while being capable of generating 200hp. Gimsel makes use of a planetary gearbox that is an integral part of it while sporting 4 AMZ M4 wheel hub motors. The motors are capable of producing 50hp each and responsible for the torque of 1200 ft-lb at the wheels. Grimsel currently requires an electronic system that is substantial for the traction control and distributing torque so that each wheel hub motor can be controlled with precision while reducing wheel spin. This will enhance the vehicle’s overall acceleration. The chassis has been crafted from one piece of carbon fiber monocoque, which was created by the team. It causes a torsional stiffness worth 4500 Nm/deg at the weight of 18.3 kg (including the roll hoops). The car consists 7.5 inch wide tires and carbon fiber rims. Everything is held in place by pushrod suspension, which is located on the rear and the front axles. 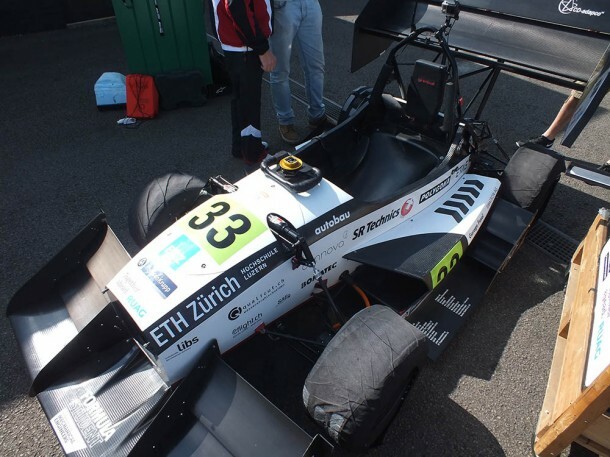 AMZ team at the Formula Student International Competition has achieved quite a success. They competed against more than 500 teams and scored an average of 920/1000 thus making Grimsel the most successful vehicle by the team.